Well, the subject of this episode can't really be a surprise to anyone who has listened in the past. 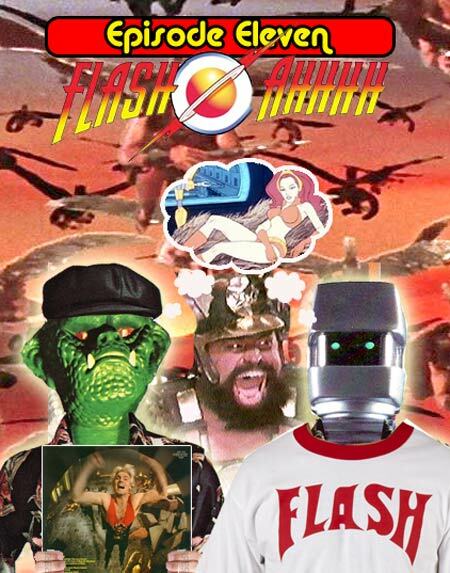 Episode 11 is dedicated to Flash Gordon, not just the (wonderful) file from 1980 but the character itself and our first introductions to him, either from serial or the amazing Filmation animated series. We delve into the merchandise (and lack therefore of), the fact that we initially bonded over this film, the soundtrack, Get Carter and the singing career of Peter Wyngarde. Filmation's Flash Gordon: The Greatest Adventure of all is on Youtube, see it while you can! 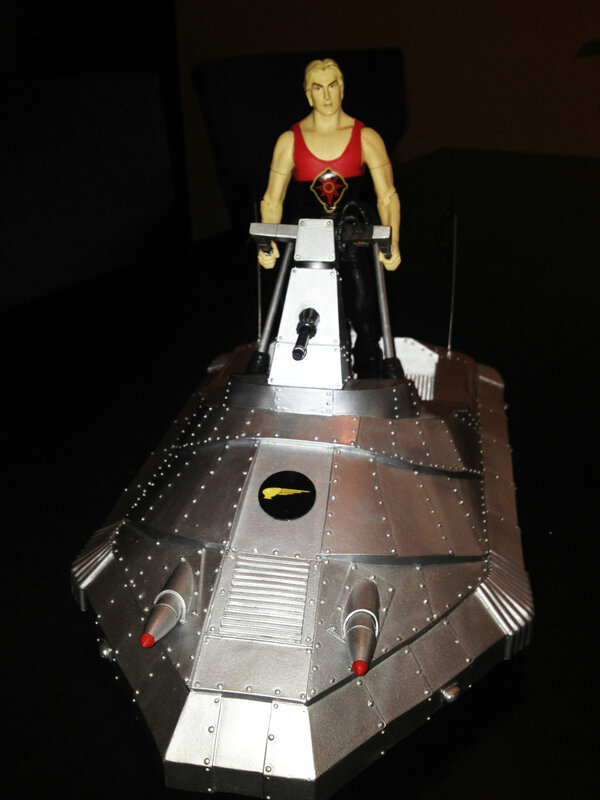 The Mattel Flash Gordon figure line was awesome but could have used some ladies. Mego made a wonderful line of figures based on the Alex Raymond artwork. 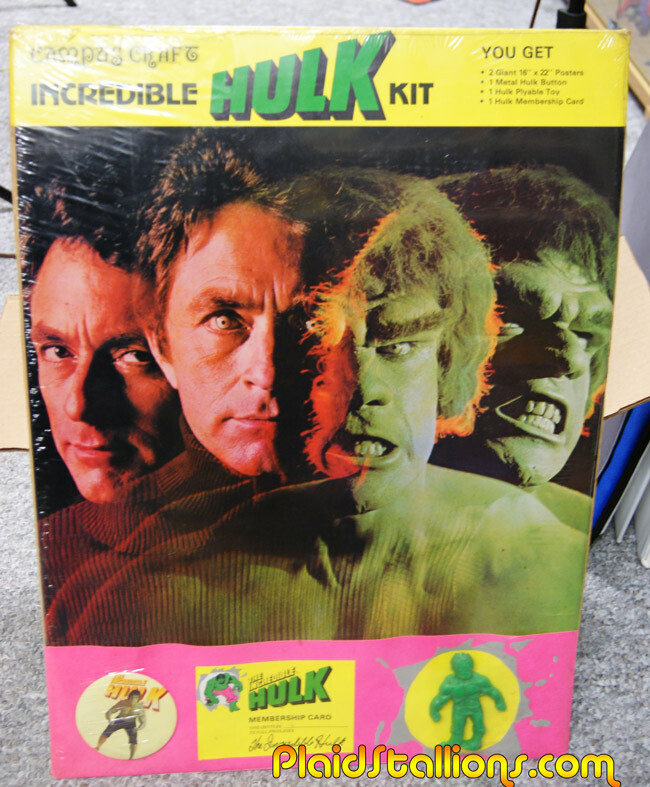 These puffy stickers are some of the only merchandise for the 1980 film. 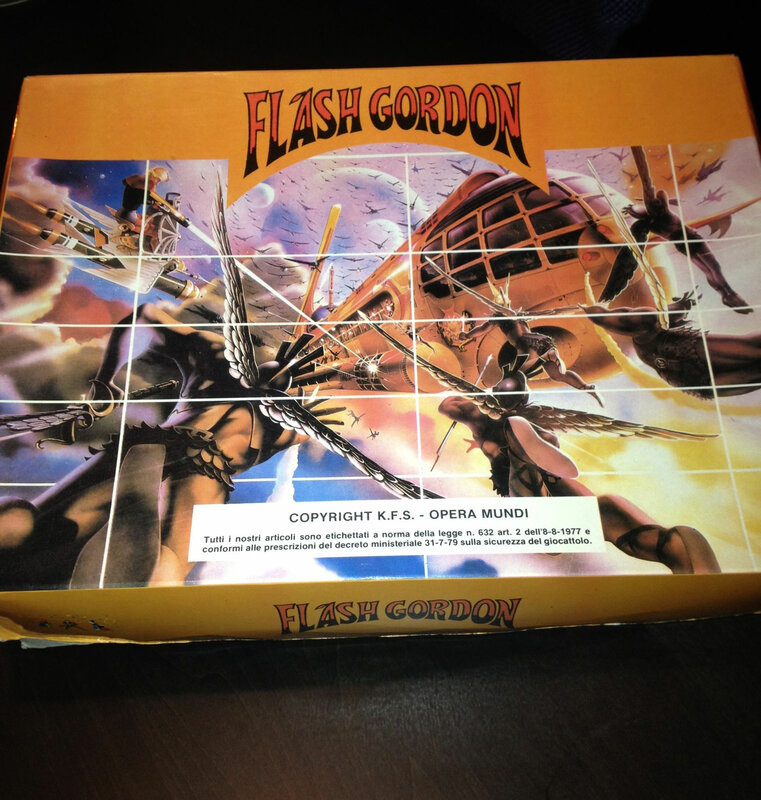 The Alex Ross cover to the DVD release of Flash Gordon that Jason had a hand in. The custom Rocket Sled for Bif Bang Pow figures. Peter Wyngarde who played Klytus also released some records, here is Neville Thumbcatch, if there is one thing you do today, click that link. 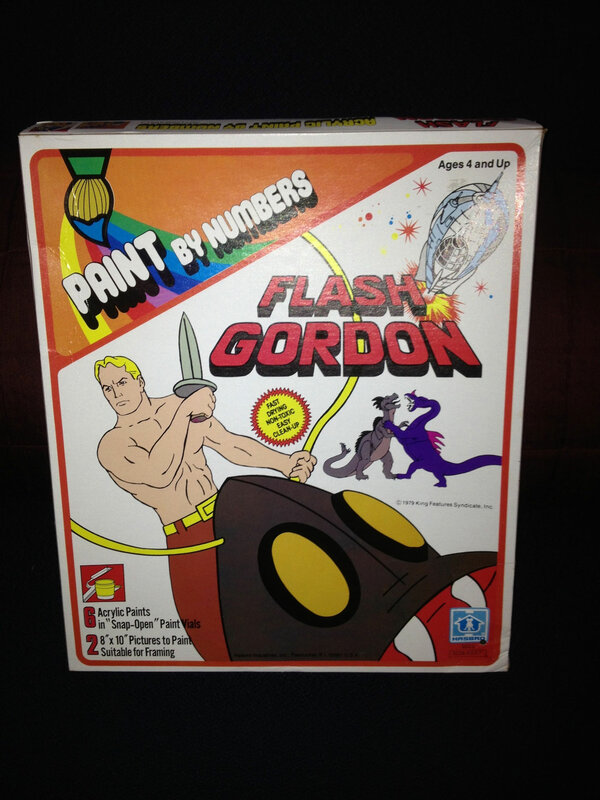 Flash Gordon Paint by Numbers set based on the Filmation show. 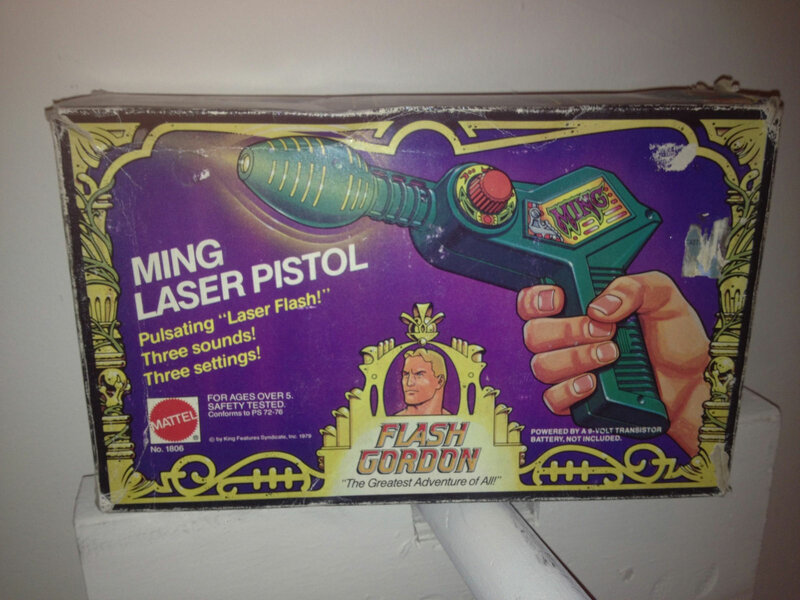 This Ming Pistol by Mattel may be the rarest item Jason owns. The TV version of The Spirit starring Sam Jones is now available from Warner Archive. 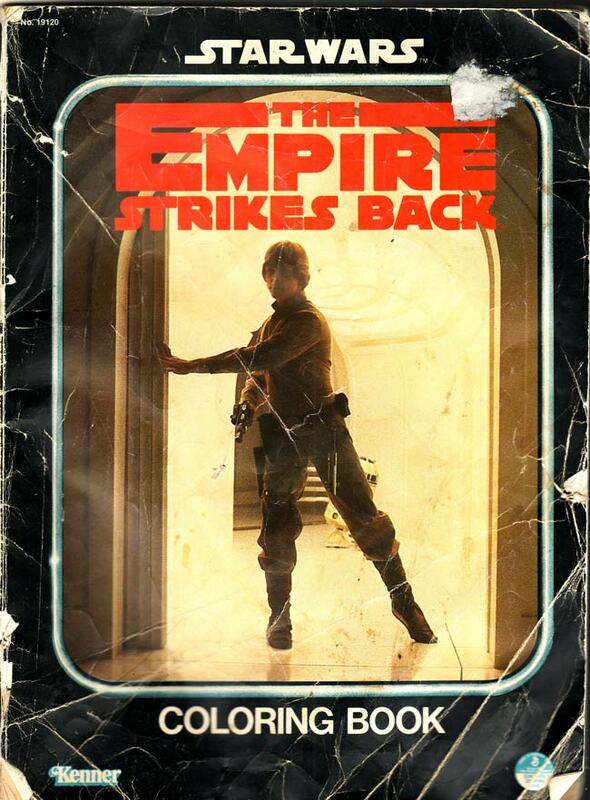 1979 is a candy land if you like vague Star Wars knock offs, the card art on this one features the love child of Harrison Ford and Martin Landau. I honestly prefer stuff like this to licensed Star Wars merchandise and that's saying a lot. 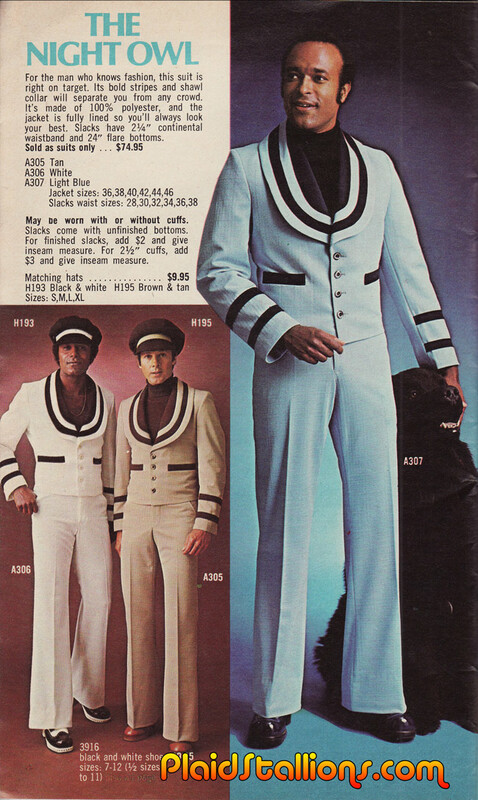 For the man in your life who wants to look like a cruise director on Buck Rogers. 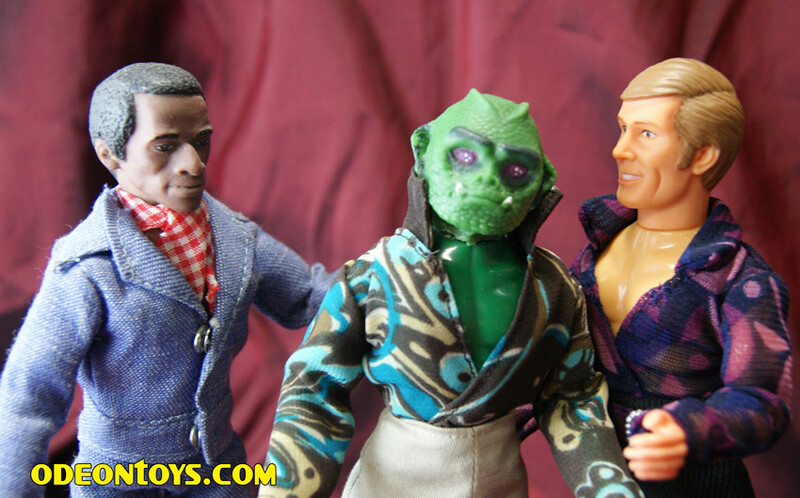 There is so little Land of the Lost merchandise out there (specifically Sleestak related stuff) that I covet all the rack toys that were produced. The majority of them were from the Larami stable and repeated ad nauseum for any ol' license but that's ok because the card art kind of makes up for that right? right? 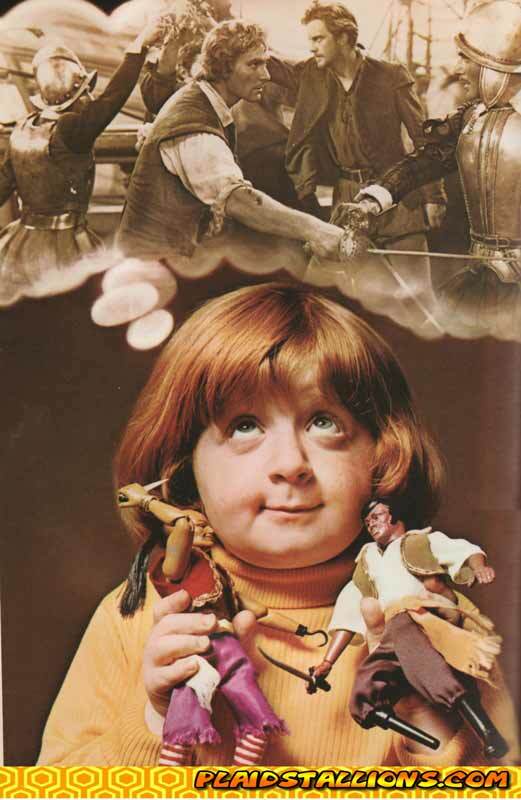 Rack Toys: Cheap, Crazed Playthings is a limited edition 144 page book from the creator of Plaid Stallions. Order from us and get three free promotional post cards. It would make an ideal Christmas present as well. 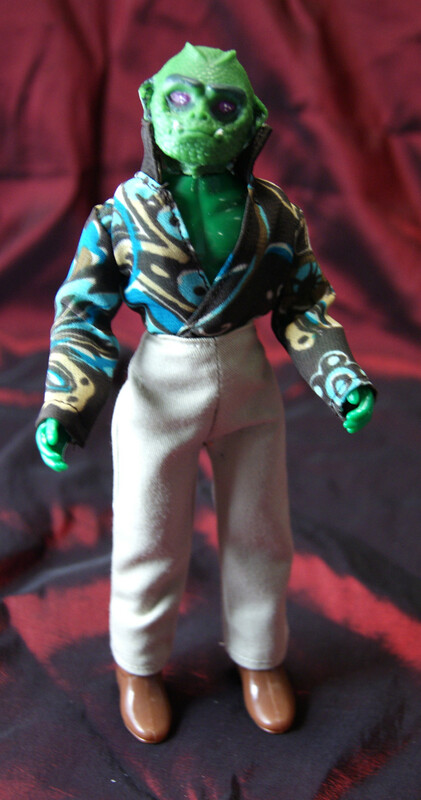 Presenting the latest release by Odeon Toys, Satin Monster, one of our mascots, is a limited edition 8 inch action figure in the 70s Mego style. 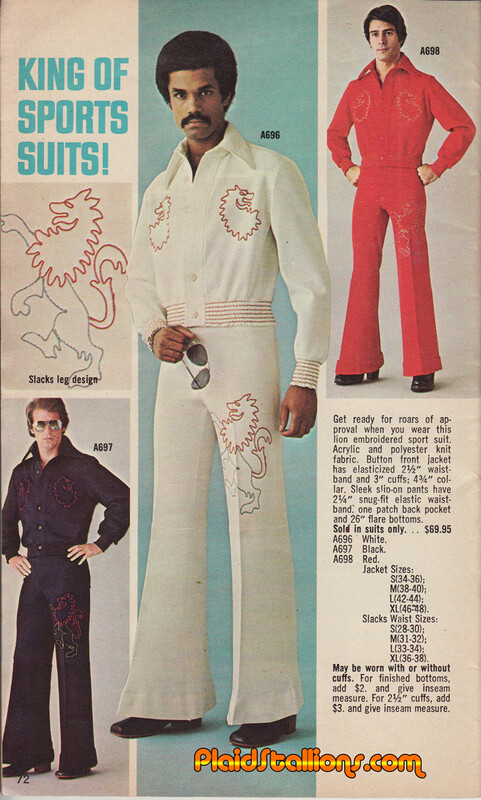 He comes complete with genuine vintage threads (real thrift store clothing was murdered to create each figure) and packed with more manliness than is allowed in the state of Tennessee. 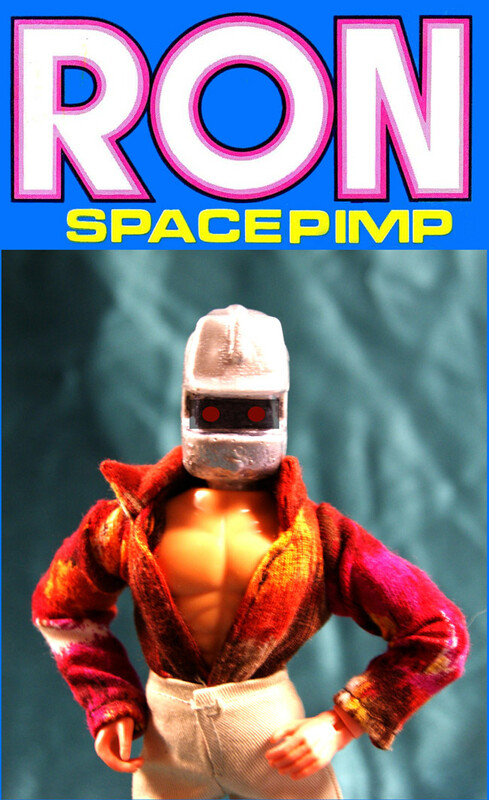 Every one of the ten action figures comes on this clamshell card, so he can be displayed MOC or..
To be life of all your man-doll parties. Warning, all your other action figures will be jealous or possibly pregnant. Special thanks to Steve M for the fabric, David Lee for the head work and the amazing Theressa for the sew magic! 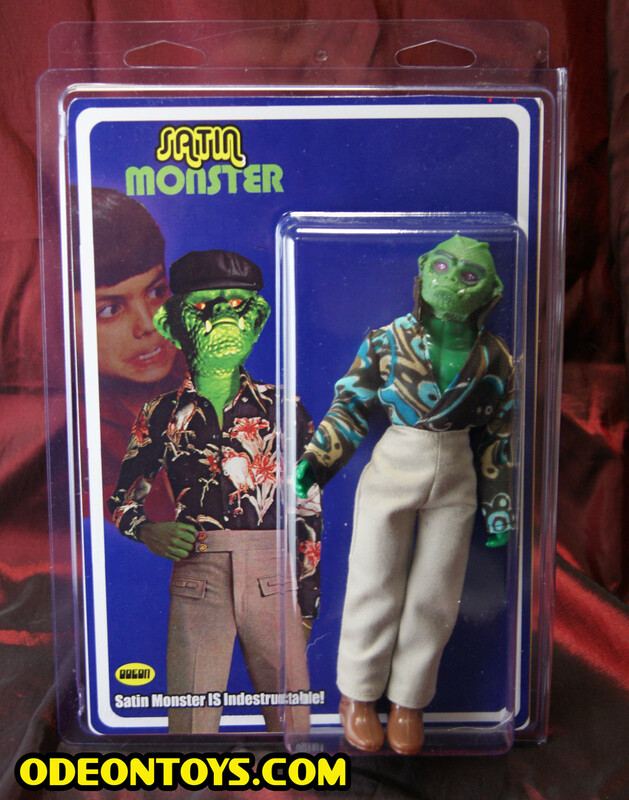 Limited to ten units, Satin Monster will be available on the Ebay and at the Mego Museum mall. Once they're gone, they're gone! This is another commercial I recently had converted (and now giving away with my DVD sets). 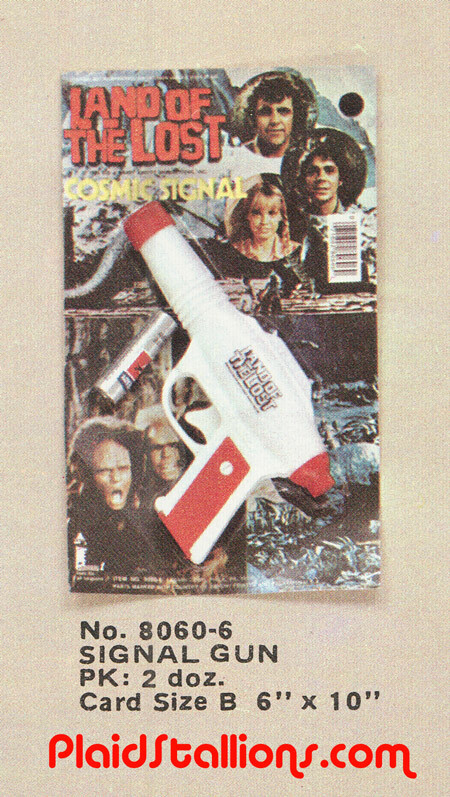 I don't have much to say about Spin Welder other than it's a cool concept and my parents would never have let me have it. The font in it's logo was used more famously by Mego for the Micronauts line. Link to commercial on youtube here. Muhammed Ali was one of my earliest heroes as a kid, I religiously watched his cartoon series and I was first in line to watch him punch Superman. Underdog may have been my first exposure to Superheroes as a wee one, he definitely sparked a life long love of the genre. I'm not sure I would have felt that way had I seen Underdog shooting up a bowling alley. 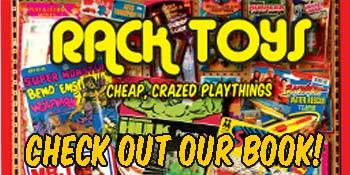 Rack Toys: Cheap, Crazed Playthings is a limited edition 144 page book from the creator of Plaid Stallions. Order from us and get three free promotional post cards. 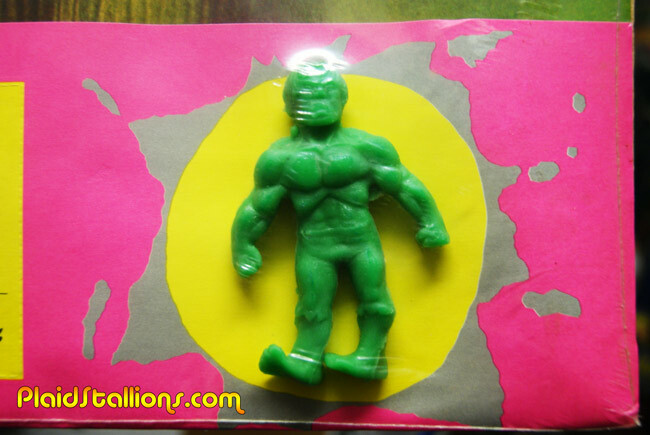 I found this item at a Toy show yesterday, what attracted me to it wasn't that it was Hulk related (more of Captain America guy) but that it was weird and I'd never seen one before. It's also a television related piece which don't pop up that often. 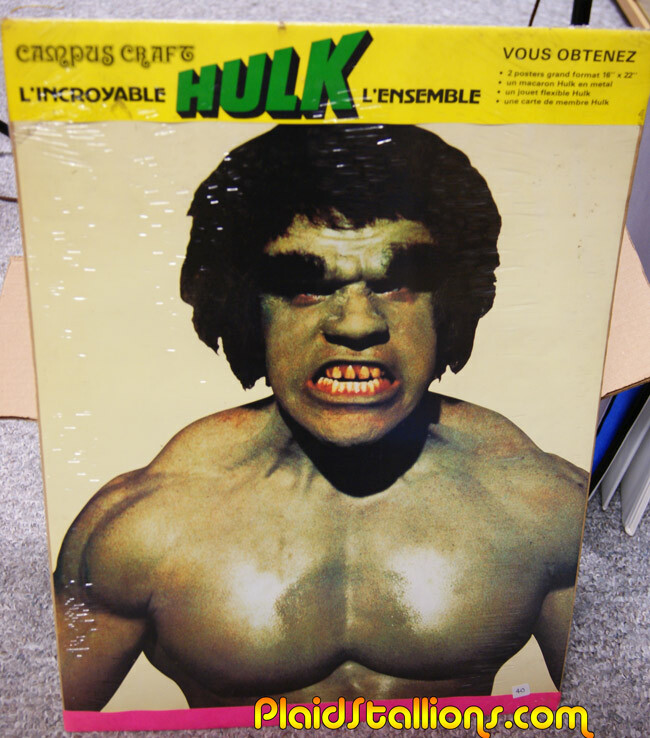 The back shows the second poster, I can totally see the makeup coming off Lou Ferrigno. 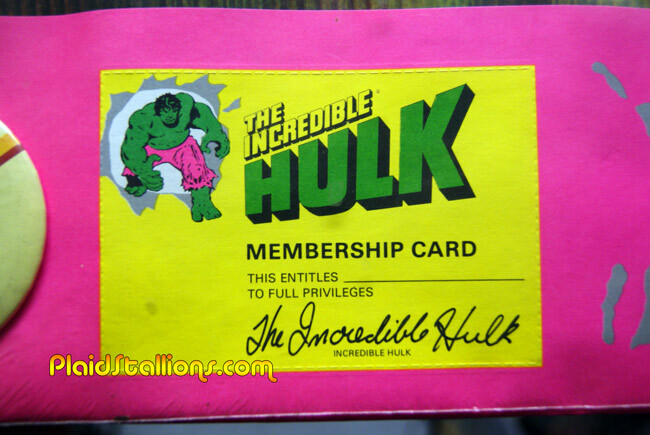 The membership card is the height of absurdity, the Hulk has excellent penmanship (I was expecting crayon) and I'm not sure what privileges you get from the Hulk. Isn't he basically a homeless man? 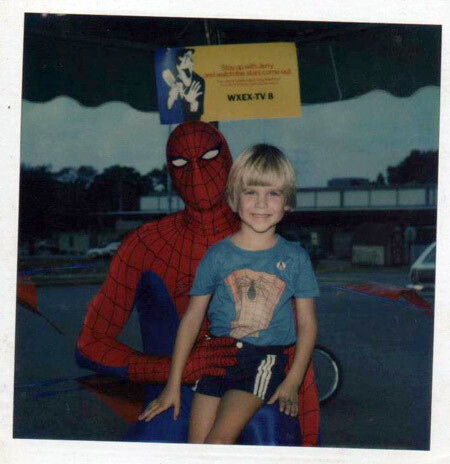 Ben broke my month long drought of Superhero Mall Appearance Pictures with this terrific picture of him with Spider-man at Cavalier Square Shopping Center in Hopewell, VA. 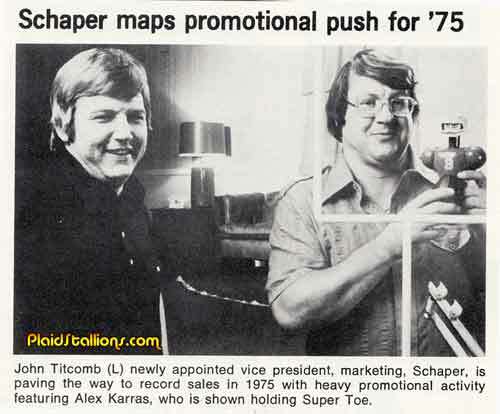 He notes this is probably 1978-1979. Note the cameo by Jerry Lewis. As you can see, Ben chose his attire wisely by wearing a shirt that I wished I'd owned as a kid. Send me your mall appearance photos! 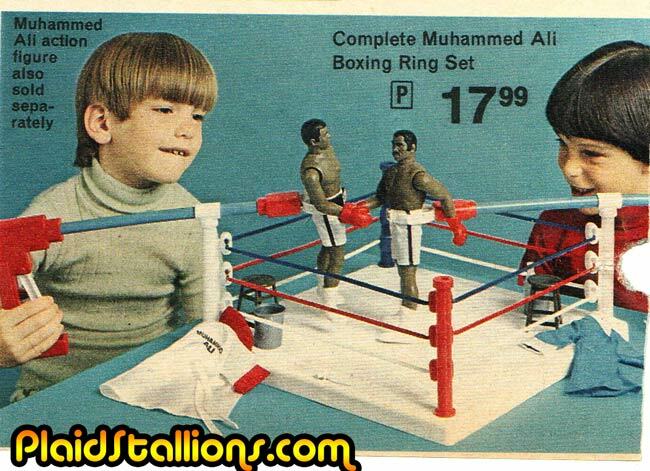 This little picture is another thing that I love about toy catalogs. You see, in 1976 Mego rushed the Fonz doll to the market place but his friends and his trademark motorcycle would have to wait until 1977. 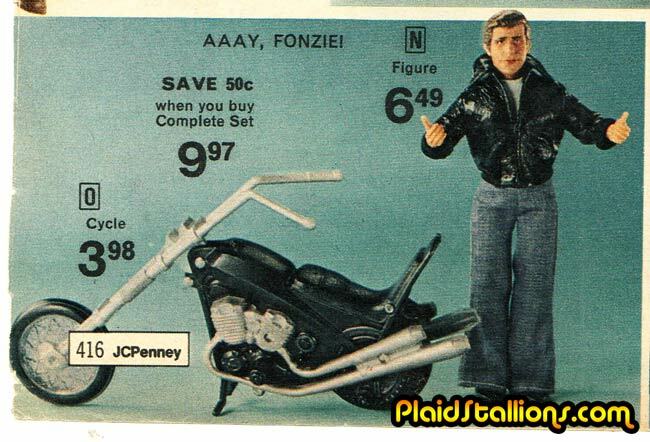 JC Penney offered the Fonz with this fill in motorcyle, it probably wasn't even made by Mego and looks nothing like Fonzies bike. I kind of want one. He's the hero we need now and the one, ultimately that we deserve! 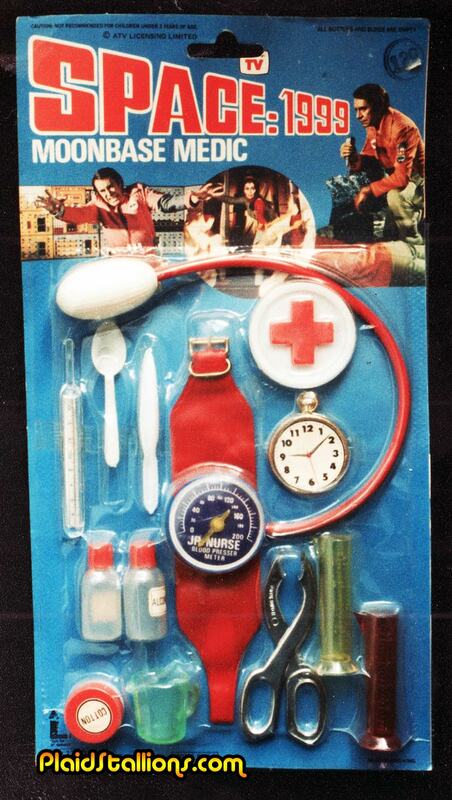 I'm not sure what I like most about this piece, the fact that it's clearly just a regular Doctor kit repackaged, that it never shows the Doctor character from Space:1999 or the wonderfully awesome, over the top image of Martian Landau on the card. This is the greatest shirt ever. I found this book rummaging around in Comic Alley Toys a while back, I never had any of the colouring books past the Star Wars one I reviewed here so it was all new to me. The thing I most remember about Star Wars colouring books was the proof of purchase logo on the bottom. I plotted at one point to turn it in for my Boba Fett offer but I worried that the Kenner police would see my grand deception and cut me off of figures for life. These commercials will soon be available at our store (which is right here) along with our many other products. Everytime you purchase from us, a kitten is born. 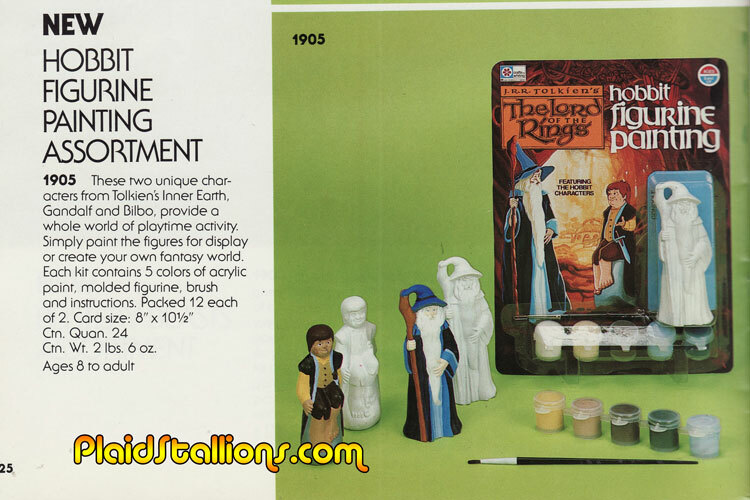 As much as I had little to do with the Lord of the Rings movie at the time, I must admit to being fascinated with what little merchandise there was now. I like the Quill because it reminds me of those Robin Hood hats you get at Disney world. 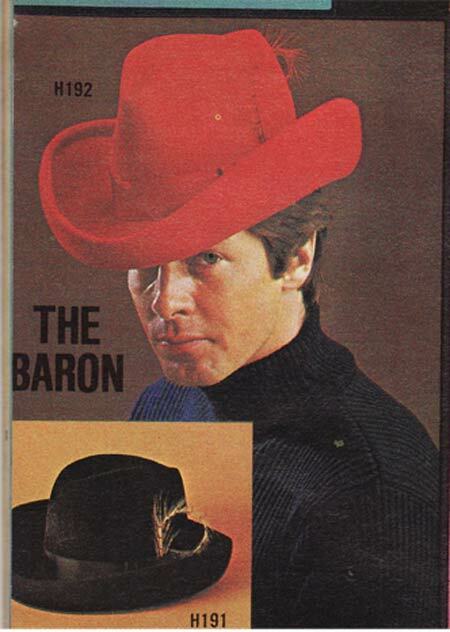 But "the Baron" turns an everyday Joe like me into Superfly. 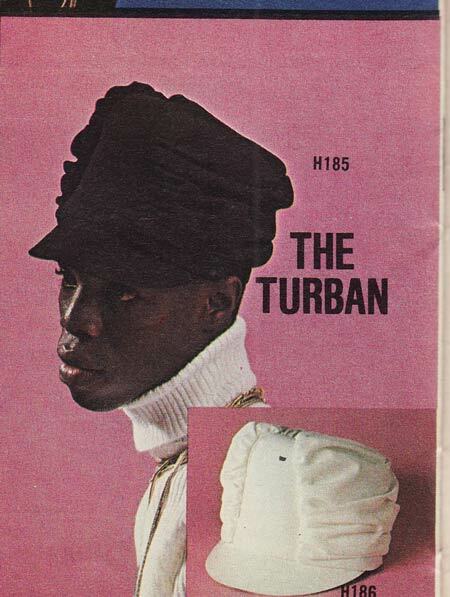 At the end of the day, it's the Turban for me. I hope it comes in lavender. 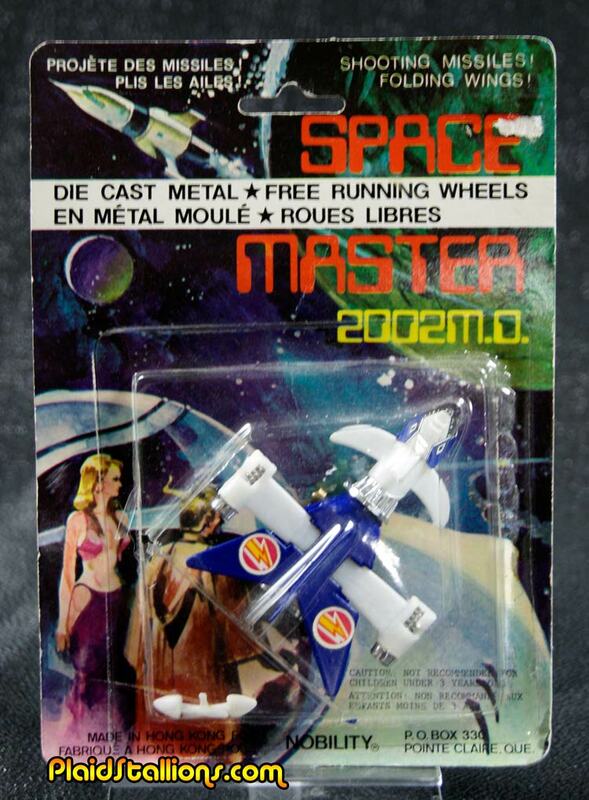 Above is the Space Master 2002, my dad sold these around 1977-1978. 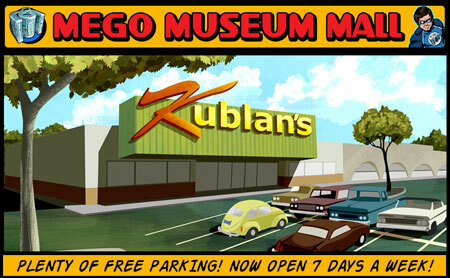 I remembered everything about these fun toys, how they looked, that card art with the skimpy dressed lady, everything. 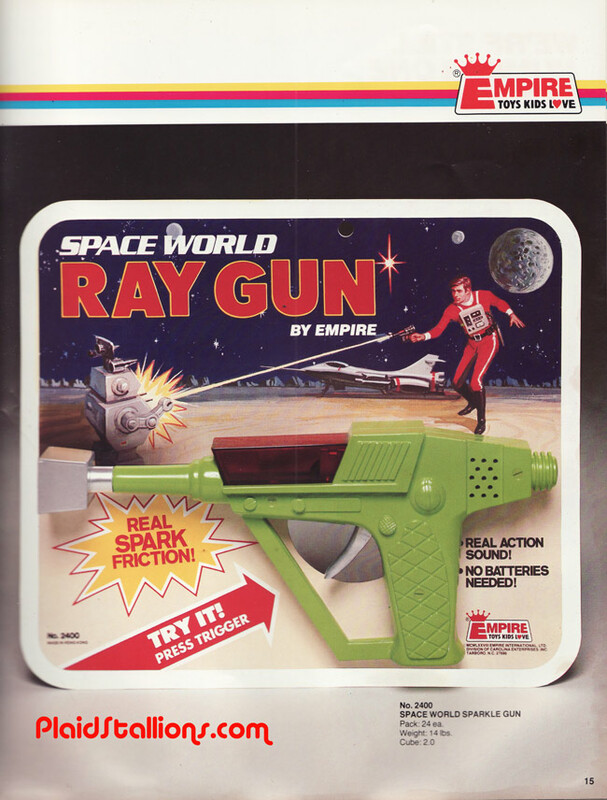 For years, I've tried everything but searching for "Spaceship" on ebay is well, a long day. I had kind of resolved to just keep my eyes open at toy shows and antique malls and hope for the best. What happened next I was totally unprepared for. My son asked me to help him find some gaming cards, so we went from shop to shop, each time having no luck. I'm one for a quest, so i suggested a used bookstore on the other side of town. It was a long shot, it looks like the last time they got in new comics, Superman was dead, but what was the harm? As we wandered around, there it was, sitting next to paperbacks and unsold Gen 13 merchandise. My brain processed it and i snatched it up and held it close, like i had some sort of competition. I paid immediately, I didn't care what the price was (it was dirt cheap, I'm the one guy who'd have paid far more). That's one of the things I love about collecting, this inexpensive toy is relatively meaningless to most but it meant the world for me to find and that little bit of kismet made my month. So much so, that I didn't complain when I had to drive an hour into the city to get my son those darn gaming cards. I know what you're thinking, what about the children? Surely they deserve to look every bit as smooth as this man? Young men everywhere rejoice, It's what every red headed step child needs. 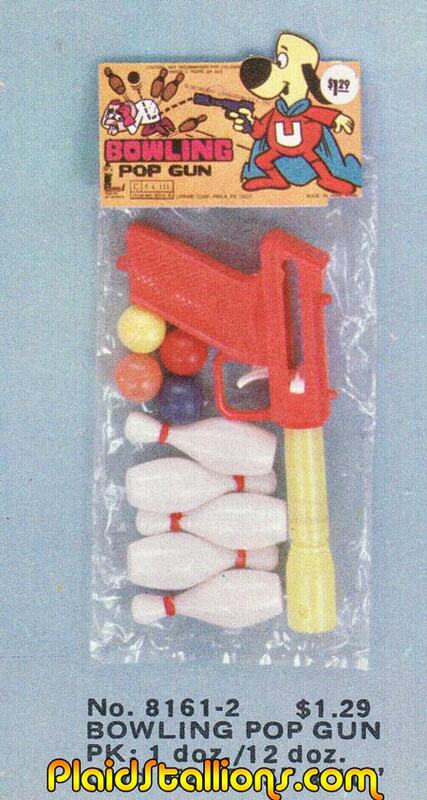 I cannot wait to see the look of joy on my son's face this Christmas morn, when we open our matching sets. Good news, I stumbled on some more toy commercial reels and after years of sitting on my desk, I had them converted. 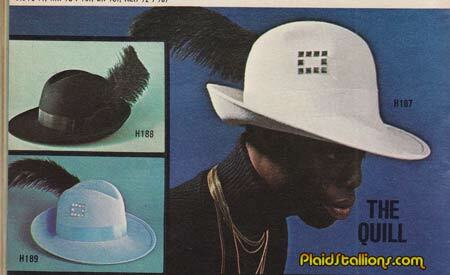 First up is a little something for the ladies in the form of this early commercial. Here is a link if you can't see the embed code. I love how putting side burns on Ken makes him noble but a moustache means bad guy. You'll be hearing from my brothers at the anti-facial hair defamation league Mattel! The AFHD doesn't think kindly of unfair stereotypes! More good news is that I'll soon be adding all these new commercials to my existing toy commercial DVDs, so they'll just be a bonus so to speak. I'll debut another in the coming weeks, trust me it's a good one.